ADJUSTABLE HEAT AND FLAME SETTINGS The fireplace heater can be set to high (1500W), low (750W), or can operate without heat, making this an excellent year-round option for your home! Flame effects can be switched between a LED amber or blue flame (fire and ice) so you can always set the perfect ambiance for you and your guests without the mess of a real fireplace! EASY AND EFFICIENT TO USE Traditional heating methods can become expensive, especially over the winter months. This electric wall fire place uses LED technology, so it will prove to be more energy efficient and less costly to heat your living space. For added convenience, it is remote operated so you can easily control it from around the room. Comfortably heats up to a 400 square foot room. Gorgeous fireplace, better than I anticipated. Very happy with this purchase. 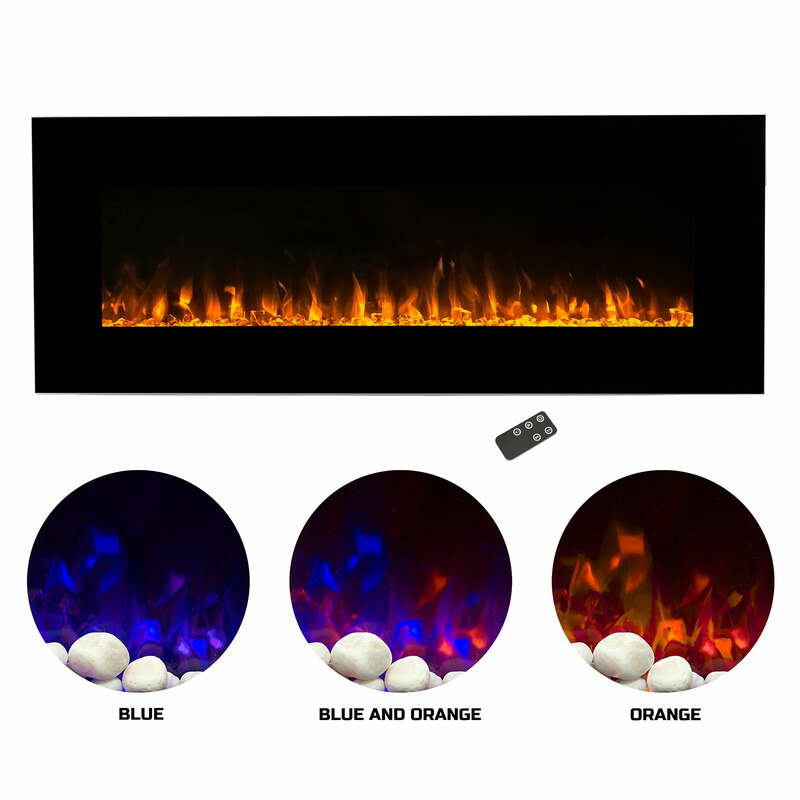 Tbook.com crawls the web to find the best prices and availability on products like Northwest 54 inch Electric Wall Mounted Fireplace with Fire and Ice Flames. This product is one of the more popular items we list which is why it is in our "hot deals" section. If you have any questions on this product, please give us a call at 734-971-1210 during the hours of 9am - 5pm EST for assistance. Thank you for shopping at Tbook.com, the Internet Department Store!